The Customs Area Controller, Western Marine Command, Compt. 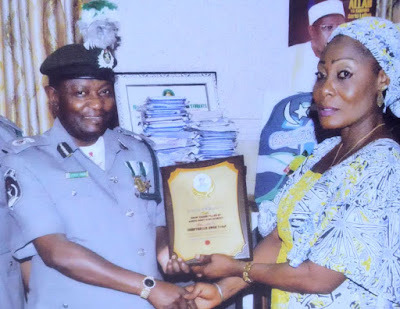 Umar Yusuf has been honoured with the Great Grand Pillar Award for grass root development. The honour done him by the Ajeromi-Ifelodun Local Government Area, was in recognition of Yusuf’s benevolence to the community by allowing them access to the cottage hospital in the command.